Voting is now live for our 2018 Reader Travel Awards - but what does it take to win? From whipping up off-menu dishes and hand-delivering gifts to mastering customer feedback and perfecting a distinctive social networking 'voice', we caught up with previous winners to find out just what it takes to impress our readers and stand out from the crowd. Their tips are below - and you can vote for your favourite places to travel here. 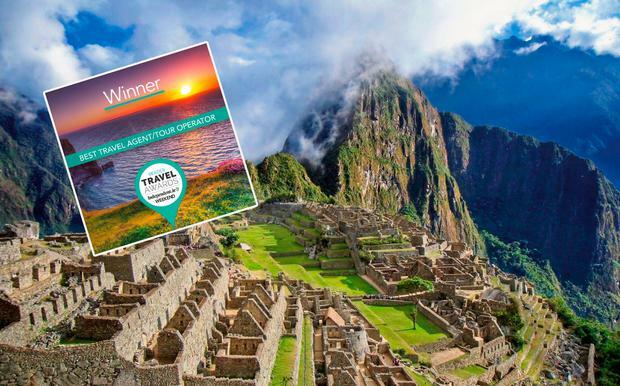 Every reader who enters could win one of seven bucket list travel prizes! What does it take to be Ireland's best hotel? 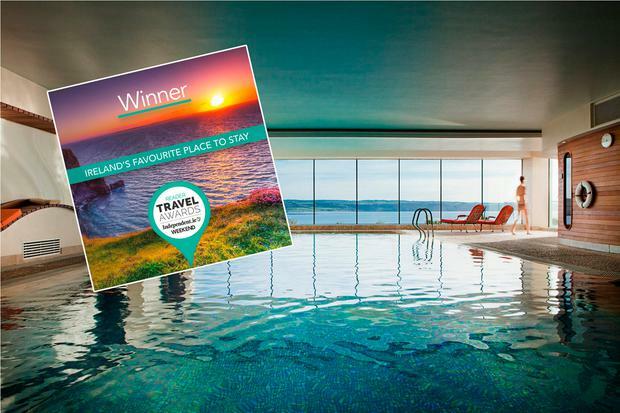 Supporting and engaging with local businesses is just one of the things Honor Byrne, group director of sales, feels has fuelled the success of the Cliff House Hotel in Ardmore, Co. Waterford - voted Ireland's Favourite Place to Stay in our last Reader Travel Awards. "Local business is very important to us and we do support whenever we can," she explains. "Most especially in food sourcing. Even before the hotel was open, our team was seeking out the best suppliers in the area and many of those relationships still stand." International guests in particular are wowed by the fact that so much produce is locally-sourced, adding to their overall 'Irish' experience. "We also partner with and co-promote many local hospitality, retail and tourism experiences," adds Honor. "We realise that we do not succeed by competing, only through collaboration." What does it take to be Ireland's tastiest food experience? The Michelin-listed MacNean House and Restaurant was voted Ireland's Tastiest Food Experience in our last awards. 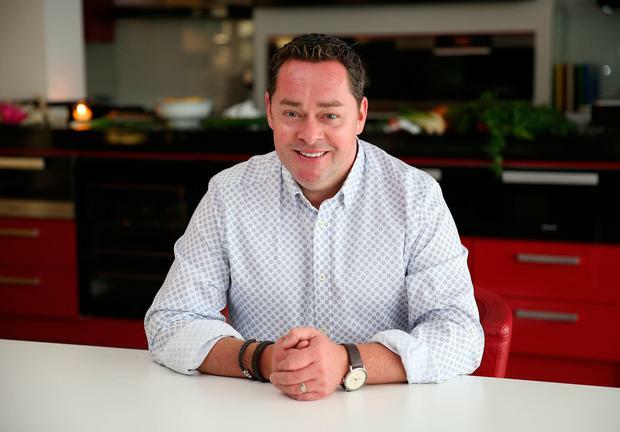 Owner Neven Maguire reckons staff, ambience and above all listening to the customer helps make his winning eatery a hit with diners. 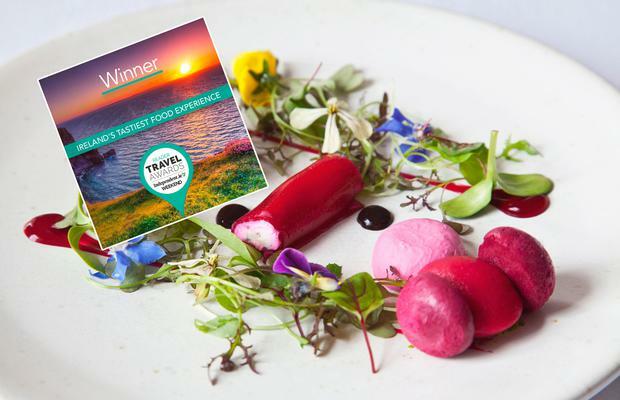 "For all our staff, each customer is special to us, and we want them to leave having had a memorable experience and a good one," reveals the award-winning chef. He also highlights the importance of a sensible guests-to-staff ratio. "There's nothing worse than having a special night out and feeling that the staff are under pressure," says Neven. "Every customer needs to be given time - it's no good having great food if the atmosphere is not conducive to the whole experience." It also pays to listen to customer feedback, he says. "I remember once we took off the 'chocolate sensation' but customers kept asking for it so it wasn't long before it was back on again!" laughs Neven. "Mind you, even when it was off the menu, we always made it if a customer asked for it. It's their night out and it's a small thing to be able to do." 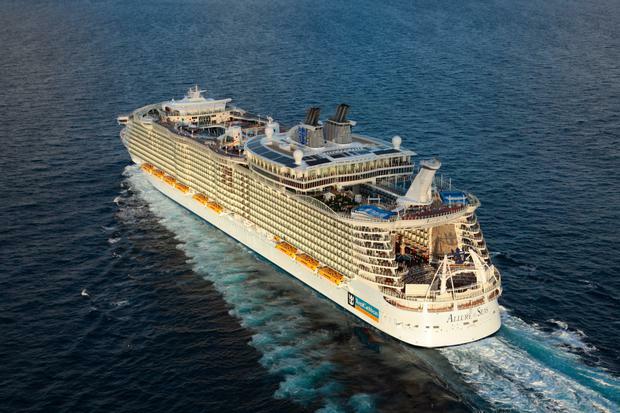 What does it take to be Ireland's favourite cruise line? In 2016, nearly half of Royal Caribbean's Irish guests were new to cruising and, with 24 innovative ships visiting 250 destinations, the line - voted Ireland's Favourite Cruise Line in our last awards - now commands a 40pc share of the Irish market. Jennifer Callister, its head of Ireland, reckons it's not just enough to meet expectations - you have to surpass them. "It's the 'wow' factor that sets us apart," she reveals. Think robotic bartenders, 50ft giraffes, ski-diving at sea… "We're enthusiastic, full of determination and offer our Irish guests a jaw-dropping world of play, a journey like no other where nothing's ordinary and the everyday is spectacular." What does it take to be Ireland's favourite airline? Increasingly, social media is a vital point of interaction between brand and customer. Declan Kearney, director of communications, believes Aer Lingus has created a voice that resonates with the public. "Our social media team has been very innovative in creating engaging content," he says. "We adopt a friendly and approachable tone and show our sense of humour when possible. Even when we have a swipe at our competitors, it's done with an element of craic and always without malice. That tends to draw positive responses." As an airline carrying 12 million guests every year, the company - which you voted Ireland's Favourite Airline last year - also places a premium on customer feedback, surveying thousands of guests each year to inform investment decisions. And rewarding those customers matters. "Half a million members have joined our AerClub loyalty programme and we're enhancing benefits for those members all the time," Declan says. More: Ireland's Favourite Airline: Our readers reveal their No.1! 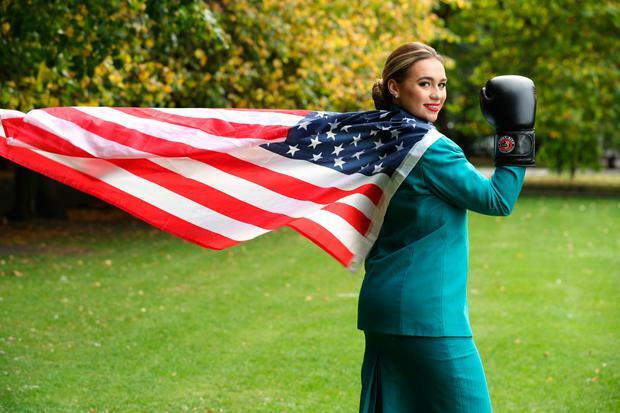 What does it take to be Ireland's top overseas destination? Weather, proximity, an abundance of destinations, cost and familiarity. These are the top five things that help make Spain Ireland's Favourite Overseas Destination as voted by you, according to Teresa Gancedo, managing director at the Spanish Tourism Office in Dublin. But you can't rest on your laurels. What Teresa reckons keeps Spain in the must-visit lists is the continued commitment to promoting the destination (the tourism board has just launched a massive new advertising campaign: 'Spain is a part of You'), and particularly lesser known locations. "With over one in four Irish people visiting Spain at the moment it's safe to say it's a popular destination," says Teresa. "But rather than take that for granted, we're keen to show and highlight areas people may not have visited, such as inland, like the vast region of Andalucía, north of Madrid and the north of Spain, which is just an hour-and-a-half from Dublin." What does it take to run a great family-friendly hotel? 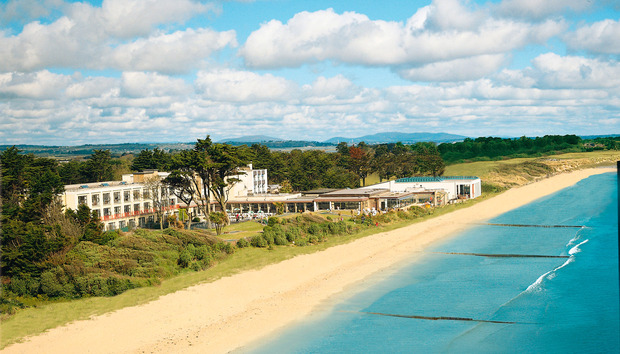 That's just one mantra that Laura Kelly feels has stood her family's hotel, Kelly's of Rosslare - voted Best Family-Friendly Stay in our last awards - in good stead. "Coming from a large family ourselves - my father comes from a family of seven children and then he went on to have six daughters - we like to think we understand what children want and enjoy," she laughs. She's a firm believer in providing little 'wow' moments too, like making sure a rain-soaked guest gets their clothes whisked away to be dried or presenting families celebrating a special occasion with a camera which the hotel then uses to create a special holiday photo album for them. "We recently had a guest that mentioned her curtains were not blacked out enough, so we took them down that morning, organised new linings to be put in and had them back in the room before bedtime," reveals Laura. What does it take to be Ireland's top tour operator? 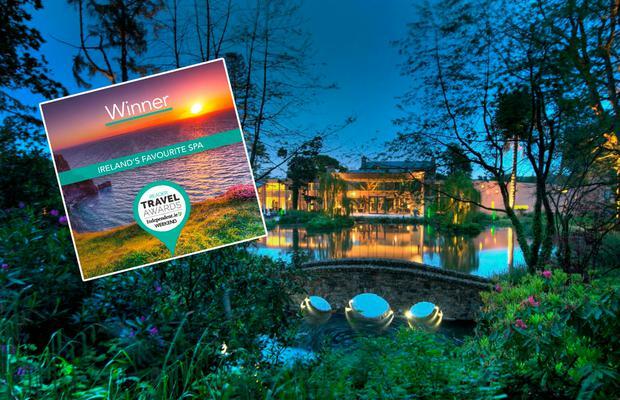 The holiday market runs 24/7 and it's a big plus for customers if tour operators do too, says Jonathan Bridge, PR and marketing executive for Trailfinders, voted as Best Tour Operator/Travel Agent by readers in our last awards. "Our availability is unmatched in the Irish travel industry," he explains. "We are open seven days a week [including New Year's Day!] and have a team on hand to handle any urgent matters when our offices are closed, thereby providing 24-hour assistance to our customers." What does he think are the top traits in an award-winning operator? "Our helpful, professional and well-travelled staff, our attention to detail and our unrivalled consumer protection," says Jonathan. What does it take to be Ireland's best spa? Carving out your own niche is a powerful marketing tool. "There are spas all over Ireland that have been developed to be part of another functioning business," says Liam Anthony Griffin, director at the Griffin Hotel Group which Monart - your choice last year for Ireland's Favourite Spa - is part of. "Monart was created to be an adult-only environment and to focus on our customers solely from the point of view of relaxation and rejuvenation. Therefore Monart is Ireland's only true destination spa property." Continuous investment in new technology and training are all important, but so too are the little details like gender-neutral décor to help make both men and women feel comfortable. "We always try and go the extra mile where we can," adds Liam. "Even quite literally, as on one occasion we had to hop into the car and drive to a customer's home in order to hand-deliver a voucher and gift, just to ensure it got there on time for a very special occasion of theirs!" What does it take to be a top tourist attraction? 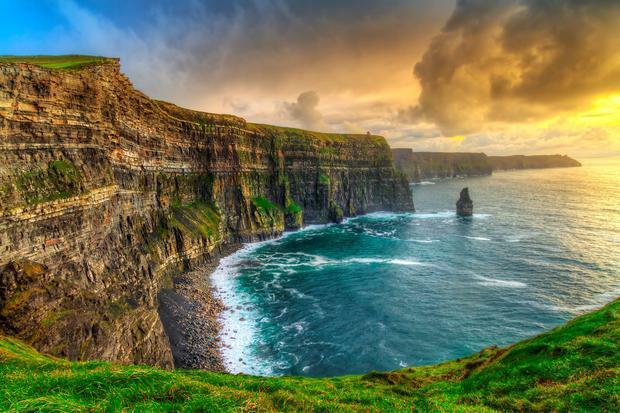 "First and foremost the Cliffs of Moher are an amazing natural spectacle," says Geraldine Enright, marketing manager at the Cliffs of Moher Visitor Centre, which you voted Ireland's Top Tourist attraction in our last awards. But she believes a successful visitor experience goes beyond relying on the site's natural beauty. "There are lots of special moments that visitors love, from getting the first view of a puffin to the locals busking, singing groups, guided tours, meeting our very own Cornelius O'Brien in O'Brien's Tower, sheltering from the elements, getting a hot drink, a bite to eat, buying a trinket or learning a bit more," she explains. "Staff and management are constantly looking at ways to improve the overall visit even before the visitor sets foot at the cliffs, encouraging them to plan their visit, allow enough time, stay overnight in the villages and book in advance to guarantee entry." What does it take to be Ireland's best adventure? 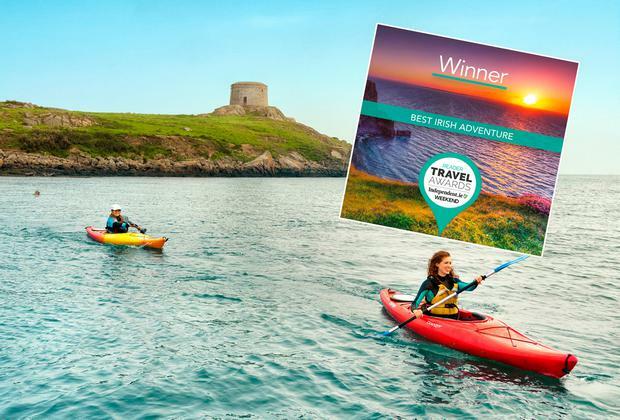 Our last Reader Travel Awards saw sea kayaking voted Ireland's Best Adventure. Jim Kennedy, from Atlantic Sea Kayaking in Cork which got a notable mention in the vote, reckons personal touches are crucial in building customer confidence in the adventure market. "We give attention to detail," Jim explains. "We make sure that we get to personally talk to each individual on the trip, down to even trying to pick correct-size equipment for clients before they try it on, which saves embarrassment. "Customer feedback is really important. We brought in extra gear in reaction to cold hands, slowed down our presentations for non-English speakers and introduced an option to have pictures at the end of the trip." Return customers are also offered a 10pc discount. "Our philosophy is 'we want each client to say that this is the best thing I've ever done'," says Jim. What does it take to be Ireland's best beach? 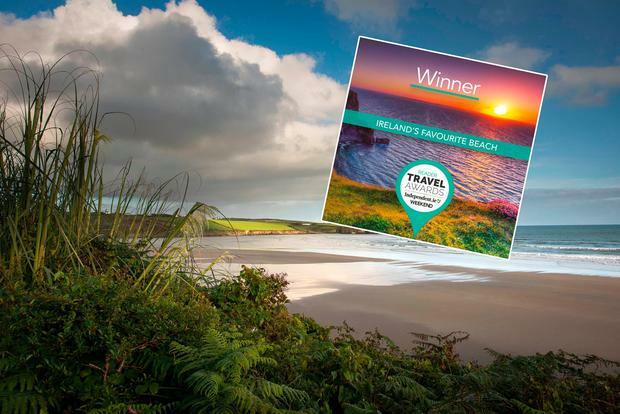 Little additions like Inchydoney Island Lodge and Spa's webcam, broadcasting live images of the beach, have helped fuel Inchydoney's popularity, but it's the monumental work done by dedicated local groups and the council that deserves praise for keeping the shore - voted Ireland's Favourite Beach in our last awards - pristine and setting it apart from other strands. "Colin Cashman, our local fisherman, regularly and on a voluntary basis checks the beach," reveals Des O'Dowd, owner of Inchydoney Island Lodge and Spa. "There are regular voluntary beach cleans, in conjunction with Clean Coast Ireland, by hotel staff and local volunteers, including an annual beach clean with Clonakilty Tidy Towns, GAA and the rugby club, with up to 80 people taking part. On a daily basis, regular visitors collect rubbish and bring it off the beach." More: Ireland's Top 10 beaches - as chosen by you! 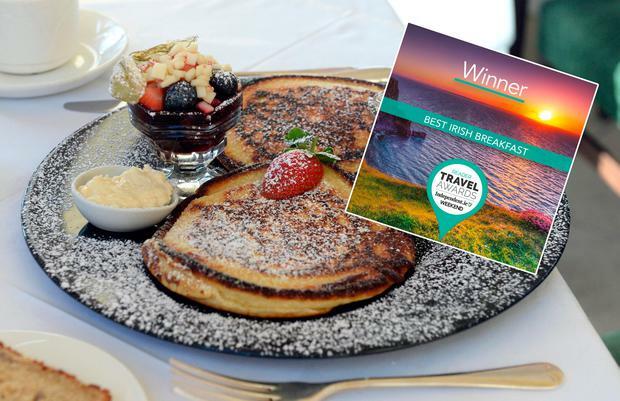 What does it take to make Ireland's best breakfast? Opening Castlewood House - last year's winner of Ireland's Best Breakfast - in 2005 was the realisation of a dream for Helen and Brian Heaton, but in order to make the dream a success, Helen believes you have to work hard and have a genuine passion for it. "As any small business owner knows, when you have your own business you have to become master of all trades and be prepared to work very long hours - but we just love it and really get a great buzz from it," says Helen. "It's what drives us every day and we are incredibly lucky in that we get to live in such a lovely place." Their hands-on approach means guests often go on to become friends. "When they leave, we always say 'see you again soon' - because we always do!" beams Helen. "We've many, many repeat guests including one lovely couple from the US who'll celebrate their 10th stay next year." 'We had a group walk out this morning because there was no fry on the menu' - how the Irish breakfast is BACK! Reader Travel Awards 2018: Vote now to win a bucket list travel prize! Ireland's Top 10 beaches - as chosen by you!